Interfaith Peace Camp is an annual collaborative effort of Harrisonburg City-Rockingham County faith communities, Eastern Mennonite University’s Center for Interfaith Engagement, and James Madison University’s Center for Global Engagement. It began as an initiative of enthusiastic community members in 2008 and has grown considerably every year. Interfaith Peace Camp (IPC) is a week-long day camp offered to 8-12 year-olds interested in building friendships and understanding with children from Abrahamic faith traditions. At the heart of peacebuilding is relationship building. A wonderful way to build relationships is through open and sincere communication between diverse faiths and peoples. 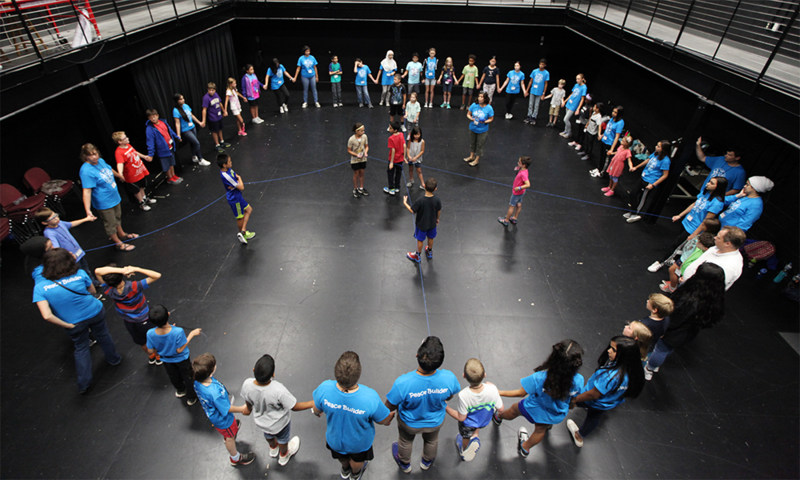 Interfaith Peace Camp creates opportunities and tools for peacebuilding, helping campers explore similarities and shared values, as well as celebrate and honor differences. The camp is planned and staffed by an interfaith, intergenerational team of community members. Read about 2017 peace camp! 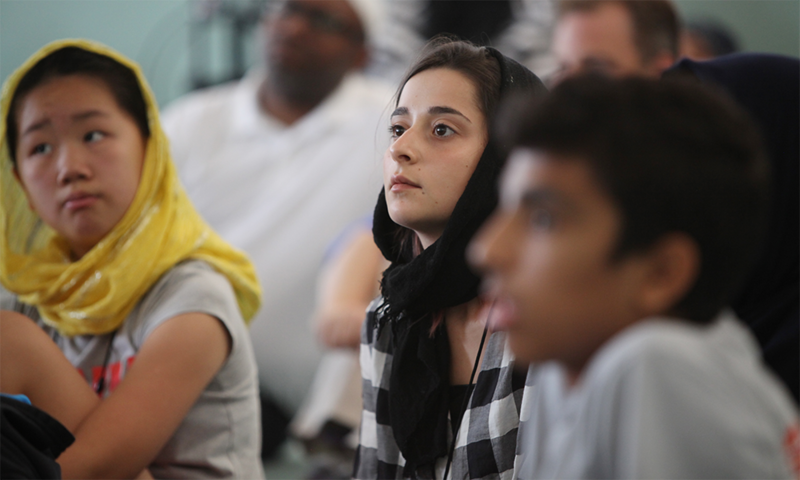 Interfaith Peace Camp is an expression of a sincere desire for peace in our world. 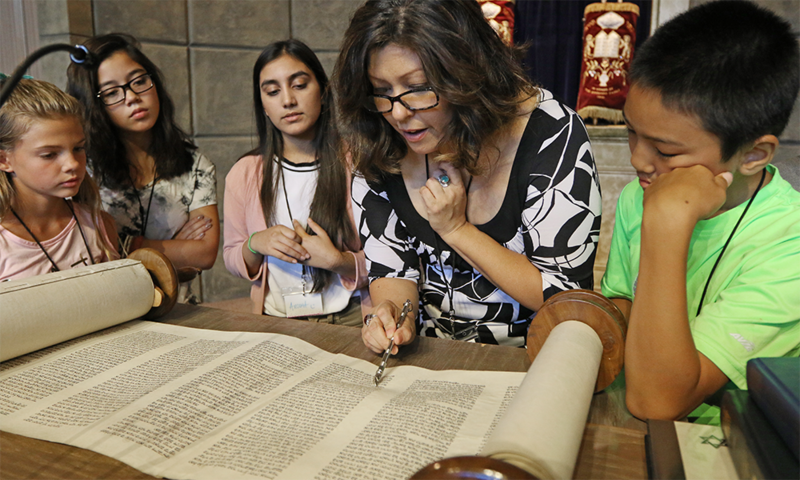 In the spirit of joy and curiosity, IPC builds friendships, values differences, and celebrates similarities among diverse faith traditions, with a special focus on Abrahamic faiths. If you have any questions, comments, or concerns, please contact us by phone or email.